Blackjack Custom Baits - This is the internet home of those Black Jack Jigs everyone is looking for. Southwest Bass Tournament Trails - Check out this new team circuit with guaranteed 90% payouts. 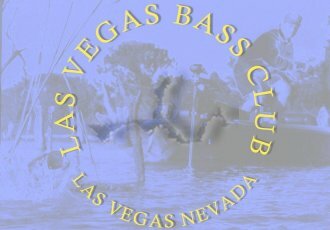 Vegas Bass'n - For all the latest bass fishing related news and information in the Las Vegas Area. Colorado River Water flow -Nice site that gives the current and projected water flows for the Colorado River and the current and projected lake levels for Lakes Mead, Mohave and Havasu. The Bass Fishing Home Page - Arguably the best message board on the World Wide Web. Talk fishing, find articles buy or sell your boat, check this one out. Bassmaster.com -The Bass Anglers Sportsman's Society home page. Keep up with the news and updates from all of the B.A.S.S. trails. WON Bass - Home page of the Western Outdoor News Bass Trails. Check out the latest trail news for your favorite WON Bass trail. FLW Outdoors - Go here for news and information regarding FLW, Everstart and BFL. ESPN Outdoors -Good coverage of fishing and hunting as well as many other outdoor sports. Intellicast Weather - This link will take you to a four day forecast for the Las Vegas area. You can get current radar and satellite images, wind forecasts, and any other weather related information for just about anywhere in the country. Great weather site! Weather Wunderground - Another great weather resource from the folks that bring you the weather bar on our home page. Bassangler.com - This site has fishing related articles, message boards and other good stuff. Bassdozer - If you need more links than this site has you need to get out of the house more. A person could spend weeks surfing through all that is at Bassdozer! Arizona Outdoorsman - Planning a trip to AZ? Don't miss this site. Arizona Fishing and hunting articles, breaking news and information, links,even some cooking recipes. (jackrabbit enchiladas anyone?) Great outdoors site!! Westernbass.com - Like bass fishing? Live in or coming to the western United States? Need information? Check this site out. Lake information, fishing reports, articles, links. Lots of info here. Pensacola Blue Angles Bass Fishing Page - This is a cool website from Pensacola Florida with lots of local reports, links, Pensacola area info, info on the U.S. Navy's Blue Angels demonstration team (they are based in Pensacola) and other neat stuff most of which is fishing related. Home of the Pensacola Hawg Hunters bass club. Pro Bass Network This is a huge collection of bass fishing articles, tips, news and information. Great boat for sale section if your looking for a used boat. Really nice site!! The Ultimate Bass Fishing Resource Guide This is a well put together site that is just what the name implies. Tons of Fishing related articles and product reviews. Nevada Division of Wildlife Fisheries Bureau Fisheries Bureau page on the Division of Wildlife site. Fishers Net - A dandy fishing resource page out of California. Lots of stuff here. Black Lake New York - A nicely done site about a Lake in New York. Check out the bottom of the page for some good resources. Don't miss the "Lake Internet Links" page or the 'End of the Internet Page"
fishing, including tubes, spinnerbaits, Daiichi jigs, grubs, and tube jigs. Nevada Fishing Journal - A nice fishing resource site focused on fishing in Nevada.